Dr. Adriana James, M.A., Ph.D.
Adriana James is a woman of force and character, beauty and charm and an expert leader in the field of Neuro-Linguistic Programming (NLP), NLP Coaching and Time Line Therapy®. The story of her life is both astounding and instructive, illustrating how hard work and determination can always overcome great obstacles. Although Adriana was not born in a family of vast wealth (she was born in Eastern Europe, in Romania), her family is steeped in the classical traditions and values of individualism and hard work. Her childhood was certainly a hard working one. Her parents and especially her grandmother instilled in their daughter that people from Eastern Europe would have to prove themselves worthy of advancement, and would simply have to be “twice as good” to overcome the western mindset toward third world citizens. Adriana began her education at the age of 3 when she learned how to read and write, and by the age of 7 she had won a national competition as a prodigy violinist which was only the beginning of a stunning and rapid advancement. This young prodigy was so gifted that even though Romania was a socialist country she was allowed to travel all over the globe to World Class competitions and won 19 top European awards. By the age of 22 she finished her last year of study at the Conservatorium of Music in Bucharest. She would go on to receive a Master’s Degree in Classical Music, specializing in Violin Performing and it looked as if her success was assured. But in 1989 when there was a brief opportunity to leave the country she went to Germany with a few hundred Deutsch marks, and applied for political asylum. As she says, “at the beginning we slept on the floor for a while and we took bathroom cleaning jobs to get by”. Soon, after performing several concerts she had become quite well known in the region, and her life seemed quite comfortable. But then the German government rejected the application for asylum and she was forced to leave for Australia, starting the second time a brand new life. She started from zero once again only to rise to become the Concertmaster of the Sydney Opera and Ballet Company. In 1994 she was awarded “Woman of the Year” by The American Biographical Institute for her achievements and her Leadership ability. Adriana sought out Dr. Tad James to train her in the science of Human Potential and Performance, NLP, because he is considered one of the pioneers in the field. In 1998, she became a Certified Trainer of NLP, achieving a perfect score in the Certification Exam. Adriana left the world of Classical Music to open her own NLP Training Company in Sydney, Australia and continued her studies in Alternative Modes of Consciousness for which she received her Ph. 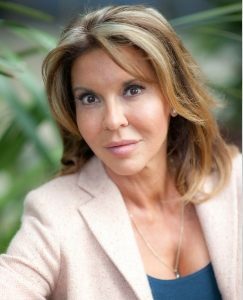 D. Today Adriana is a Master Trainer of NLP and Time Line Therapy®, Hypnosis Master Trainer and NLP Coaching Master Trainer and she has earned international recognition in this new field of endeavor as one of the very few successful women NLP Master Trainers of NLP. Years later, Tad and Adriana reconnected and married in 2001 in Hawai’i. The partnership has proven that one plus one is much greater than two alone and the synergy of this charismatic husband and wife team is attracting crowds to their trainings around the world. Adriana has built on the foundation of Tad James’ work and added new processes and paradigms to the evolving field of NLP and Time Line Therapy® with developments in health, relationships and the body/ mind connection. She has developed the NLP Coaching Trainer’s Training, and a new technique in the Time Line Therapy® series of techniques regarding old anchors who can trigger again Negative Emotions in the present based on old experiences. She has also developed the Marketing NLP Training designed to assist NLP Practitioner and Master Practitioner Coaches as well as NLP Trainers to market themselves successfully. She has published a best-seller book “Values And the Evolution of Consciousness” – a book about how to take advantage of the massive changes which the world is going through more importantly, how to negotiate the difference between where we are and where we are going – which can be found on Amazon here. 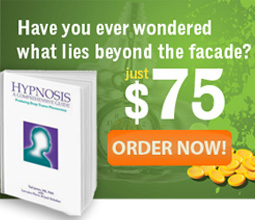 Also a great book about Time Line Therapy® – called Time Line Therapy® Made Easy. This book blows the lid to everything you thought you knew about transformation of the mind in the absence of negative emotions, limiting beliefs and limiting decisions accumulated from the past. You can find this book on Amazon here. 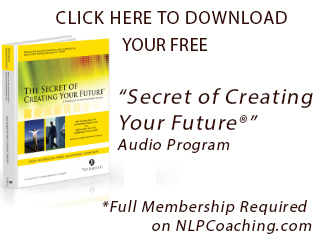 Finally, she also co-authored with Tad the books The Secret of Creating Your Future® – which you can read about here; and the Lost Secrets of Ancient Hawaiian Huna – found here.